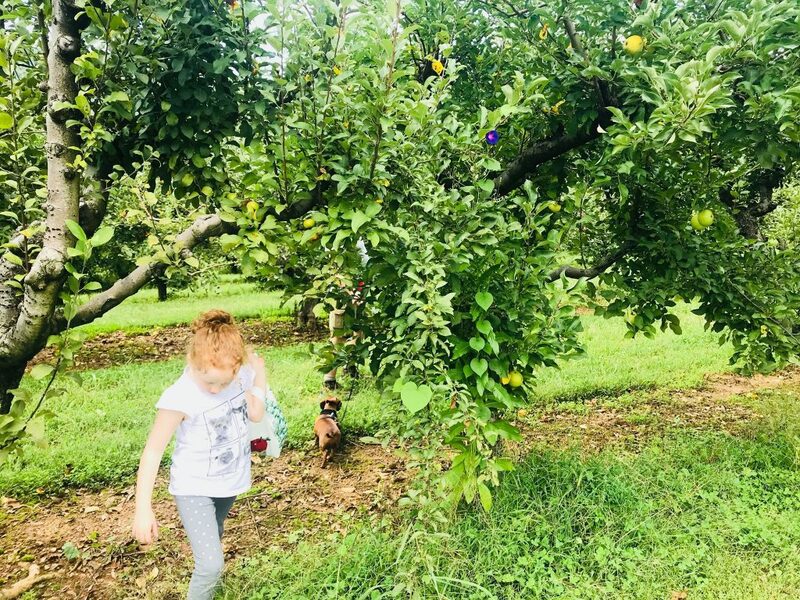 I live on a little farm in the mountains of Virginia and I didn’t really plan to be a farm girl by trade but I do enjoy creating delicious food from local sources and even from what we grow here in our organic garden. I want to share with YOU what I am creating in this little farmlet. 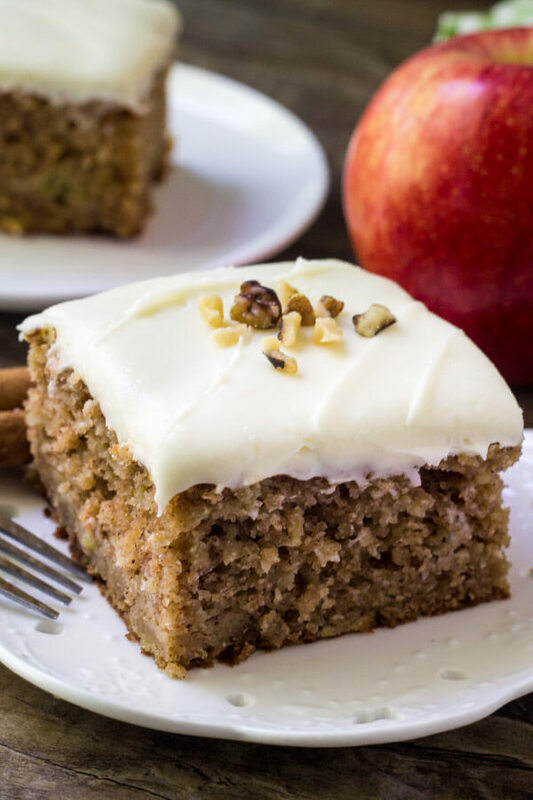 It is always healthy delicious food, and blogging about it to you…well, it’s the next best thing to having you right here with me, relaxing with a cup of coffee and a piece of cake. Oh, just so you know~ I have only make foods that are fun and easy to create. Dive in my dear one! It is that time of year and we picked these apples at a nearby orchard. Mix and bake at 350 in tube pan- glaze with powdered sugar and cream cheese icing or sprinkle with powdered sugar. Serve with whipped cream. 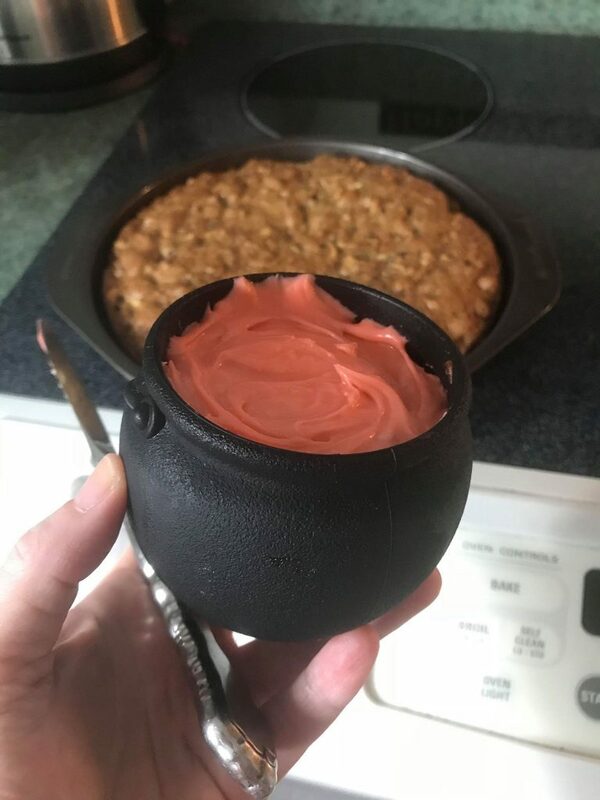 For this I doubled the batch and baked some in little cauldron pots with the cream cheese icing with a drop of red food color. I would love to have you Subscribe to my cozy community below and get access to free success trainings, new music from me and my new travel blog! Also, The Farmlet Kitchen blog will be there too as a cozy constant. What would life be without delicious food, great music and exciting travel? Want to chat? Me too! Go here. Want to join my subscribers? Go here. « Girl, you are AWESOME just like that.